A UK based Custom and Classic parts stockist supplying quality parts and panels to restorers and enthusiasts, specialising in Chevrolet and Ford Pick Up Trucks, Hot-Rods and Customs. We pride ourselves on a friendly and professional service. We have an extensive stock and we are also able to source any obscure or difficult to obtain parts providing they are available from our USA based network of suppliers. Regular stock replenishment consignments are shipped throughout the year. Air Freight is also available. We undertake servicing and repair, fabrication and air conditioning insulation / re-gassing to your specification. We’re able to import vehicles nationally & from America via our USA sister companies so if you have a request for a vehicle, but don’t see it on our site, then please let us know so we can try and find you one. We have recently launched a new merchandise department with lots of different products, styles and designs for all to purchase, this will continue to grow throughout 2019 online and in store. Golden Chariots is one of the leading Vehicle Shipping Companies in the UK, shipping vehicles all around the world, specialising in the USA and Canada. Our knowledge and experience speaks for itself as we pride ourselves on professionalism and arranging the import/exports speedily, quickly, competitively and safely. Auto parts and paint suppliers to the auto trade. We have supplied to the trade for over 15 years, we carry a large range of stock and can supply any items to order. We supply a wide range of automotive products, knowledge & industry experience to the following: local garages, bodyshops, local & national dealers, coachworks, panel beaters, vehicle refurbishers, car clubs, specialist car & vehicle restorers. The aim at Valley Gas is to supply the customer with good workmanship – at an affordable price. They can make you a bracket, a stainless exhaust, build you a stock or a race engine, or a show stopping hotrod. They have built many race cars including their own 9-second ’33 Willys Coupe. They can alloy panel, make stainless exhaust systems and headers, or build a turn key race car that will be to a show standard. American car magazines, books, manuals, handbooks, DVDs .. whatever you’re into – rods or restoration, customs or classics, lowriders, drag racing, NASCAR or modern, you should find something here..
Street Machine – it’s back from the wilderness but still wild. All the hottest cars and trucks, rods, customs, Americans, sleepers, beaters, rats, new builds, old builds, budget builds: if it’s hot and on the street, it’s in Street Machine, at good newsagents on the last Thursday of the month. The UK’s number one All-American car and lifestyle magazine. Featuring Classic American muscle and Classic American styling. Don’t miss out, immerse yourself each month in a little part of the American Dream. The provider of the official NSRA Members’ car insurance scheme – Classicline Insurance specialises in policies for collectable, classic, sports and performance cars, custom, hot rod, kit & replica right through to general motor insurance. The UK’s most popular hot rod magazine. Custom Car was the UK’s first modified motoring magazine, and it’s still going strong today. Launched in 1970, its aim is the same as it’s always been – to bring readers the best roundup of custom cars, hot rods and street machines. Brought to you by a specialist team of writers, who really know and understand this scene, the magazine is filled with custom car action from around the world. Home Grown Hot Rods is a one-stop shop which caters for all enthusiasts – from the home builder to those who require a turn-key hot rod. HGHR has been operating in Southend for a decade, and during this time have built over 20 turn-key cars, plus a great many more chassis kits for customers throughout Europe. A wide range of vintage and American tyres and wheels. Vintage tyres, whitewall tyres, American tyres, raised white letter tyres and more. With partners on the US East coast and in the UK, R & R Hot Rod Imports can provide all of you frustrated hot rodders with parts, wheels, cars .. or whatever your heart may desire and your wallet will stretch too. Everything is sourced in the US and shipped primarily from the East coast. Suppliers of Radir Wheels and Tri-Chevy parts. Santa Pod Raceway in the UK is the home of European Drag Racing and host to the televised FIA European Drag Racing Championships. It’s the fastest and loudest motorsport on earth with sensational race action from dragsters and doorslammers to beetles and bikes. 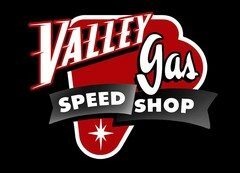 The Famous So-Cal speedshop with stores around the US. Over 1,000 world-class hot rod parts together with their renowned clothing designs. A Southern California Home from Home for UK Hot Rodders. Come stay in the friendly home of British Hot Rodders in Orange County with easy access to rod shops, beaches, shopping, entertainment and outdoor activities.